, read more on the 4C Model for Early Identification & Development, Future of Work Results, and other CMP highlights. We are moving into the holiday season. For many of you it is a season of family and thanksgiving. However, for others this can be a challenging time of year. I hope we all take the time to reach out and be especially sensitive to those around us this holiday season. Who Can Lead? The 4C Model for Early Identification and Development – provides a proven and portable framework for identifying and developing your future leaders. 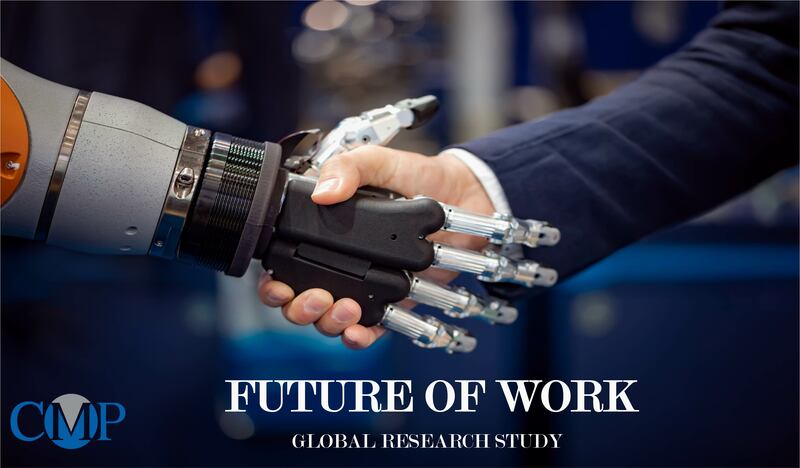 The Future of Work – offers an insightful summary of results from our third annual global survey. Over 1,000 leaders from 28 countries help us understand important trends and where our talent development and resources should be focused. We also highlight an addition to our Southeast region team, welcome Jonathan! 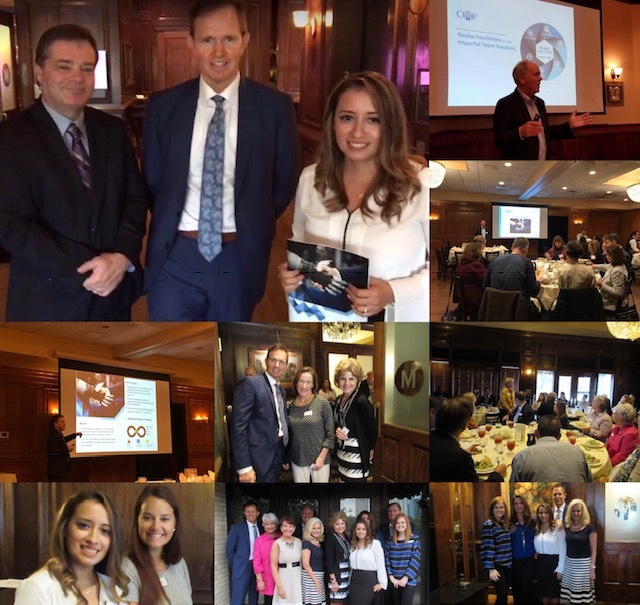 And information on our Mentor Rings and Executive Opportunities Forum in Chicago, and DHRE and CMP volunteer events in Dallas. As a friend of the firm, please do not hesitate to contact us if there is anything we can do for you. CMP Southeast is proud to announce that Jonathan Burman will be joining our team as an Executive Coach. Jonathan is an Industrial & Organizational psychologist with 25 years of leadership and talent management experience. As a consultant and employee, he has worked with such firms as CIGNA, MASCO Corporation, Johnson & Johnson, Pep Boys, and Koch Industries. Most recently he was the VP of Talent Acquisition & Development for Mondi … a global paper, packaging, and managed forestry company headquartered in Vienna, Austria. 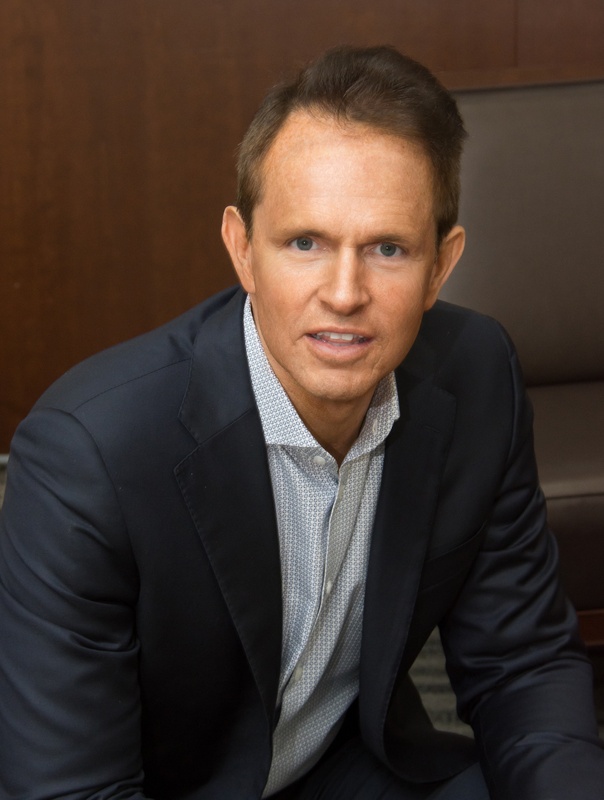 In addition to his new responsibilities with CMP, Jonathan also teaches leadership, strategy, change management, and performance management courses for Emory University. Thank you to Bryan Murphy, Clear Technologies; Fidel Bacca and Meg Gardner, Exponent HR; and all who joined us at the Future of Work events in Atlanta, Chicago and Dallas. We look forward to The Future of Work 2019. To participate in the Global Research Survey in 2019, please contact Faith Abbott at faitha@careermp.com. For a free copy of the presentation click here. ExponentHR is the human capital management solution that powers teams with a single-source resource for HR, payroll, and benefits administration. CMP volunteered at the 7th Annual Hiring Red, White & You! Statewide Job Fair. 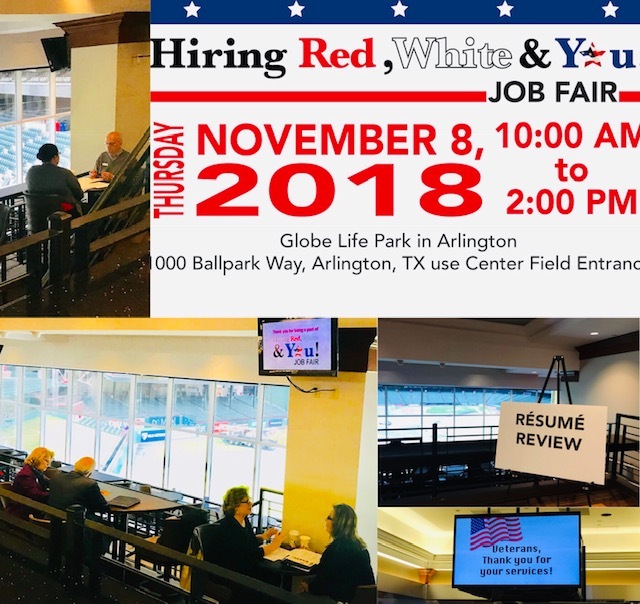 This event is sponsored by: Workforce Solutions for Tarrant County, The Texas Workforce Commission and the Texas Veterans Commission. Thanks to our senior consultants for reviewing resumes for our veterans. MentorRings™ is CMP's Women’s Leadership Program providing a dynamic 4 Month Action Learning Experience coupled with a unique blend of Executive Coaching and Mentoring. Through a series of 7 learning experiences including both one-on-one and group forums, MentorRings™ provides women with the opportunity for significant growth and development that translates to bottom-line results. Dallas Human Resources Executives (DHRE) is a networking group for senior HR leaders in the Dallas-Fort Worth area. 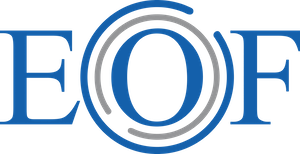 Executive Opportunities Forum (EOF) is a Chicago-based peer advisory group for C-suite and SVP level executives in transition.